I was late getting my photo up yesterday. Internet was slow or nonexistent and my phone got turned off by accident. Here is a view looking behind when that glorious orange/red sunset was happening. 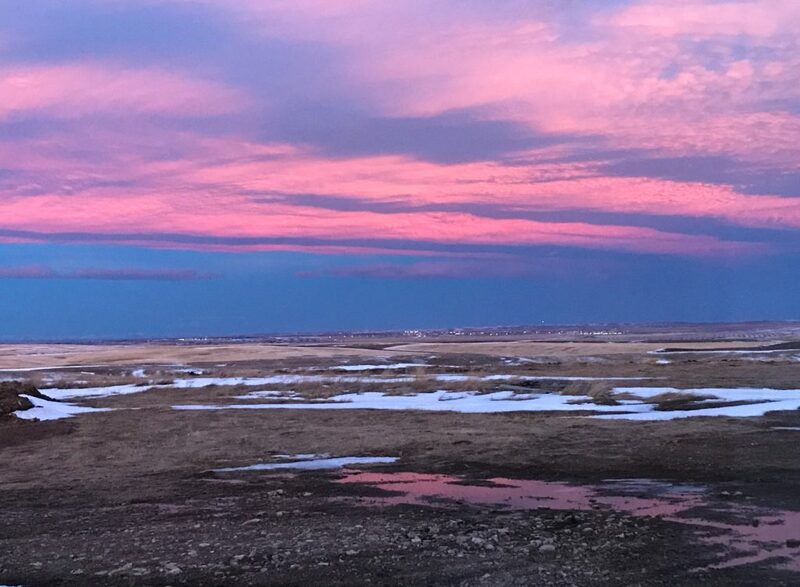 It was pink toward Great Falls. There was even pink reflected in the ice/water. Always turn around when shooting sunrises and sunsets. This entry was posted on Saturday, February 2nd, 2019 at 6:06 am	and is filed under Uncategorized. You can follow any responses to this entry through the RSS 2.0 feed. You can leave a response, or trackback from your own site.